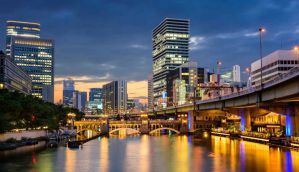 Osaka is the third largest city in Japan and it has a lot to offer visitors. Like elsewhere in Japan, accommodation can be expensive and most rooms are small. 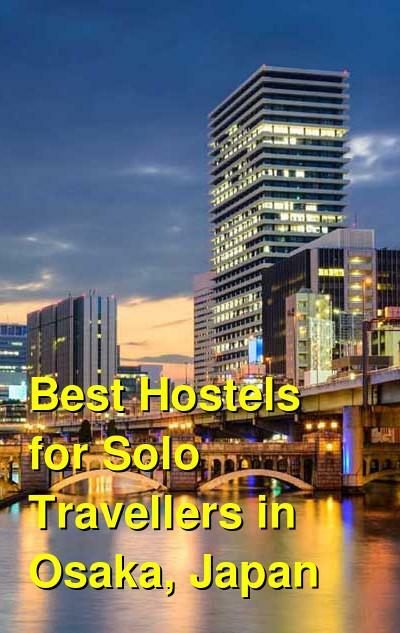 There are a few great hostels available throughout the city. If you're traveling alone, you'll likely want a place with a social atmosphere. Some hostels can be more lively than others. How much do hostels in Osaka cost? If you're traveling alone to Osaka and you're looking for an affordable and comfortable place to stay, then Drop Inn Osaka is a great option. It's one of the largest guesthouses in the area, so there are always travelers around. They can accommodate up to 90 guests and there are rooms that range in size from private singles to rooms that sleep up to five. The hostel is conveniently located about a seven minute walk from JR Osaka. The staff is friendly and welcoming and there are typically employees available who speak English among other languages. The hostel also hosts a range of interesting events that let you experience the Japanese culture right from the comforts of your hostel. If you're traveling alone and looking for a friendly and social environment, then this hostel is a great option. It's size and atmosphere ensure that you'll make at least a few friends while you're in town. If you're looking for a hostel that feels a little bit like home, then Tani9 Backpackers Osaka is the place for you. The hostel is cozy and welcoming and the staff will treat you like family. There's a pleasant lounge where you can relax and meet other guests and the hostel maintains the Osaka culture so there is an air of authenticity. It's definitely not a party hostel and there are few organized activities, but if you're looking for a quiet place to relax in a personal setting, then this is the place for you. It's a smaller hostel but there will likely be other guests around that you can chat with. The hostel is located very close to the Metro Tanimachi LINE Tanimachi9cho-me station and you can walk to the Osaka Castle and the Namba area. The location really can't be beat. The hostel is clean and comfortable. The space is small, which is expected in Japan, so don't come looking for spacious dorms. Still, the atmosphere is nice and you'll likely have a great experience. Bonsai Guest House is a nice hostel with a variety of amenities for guests. There are a range of room types that you can choose from including six bed dorms, twin rooms, and deluxe twin rooms (That have a double bed and a loft single bed). The hostel has a small, semi furnished kitchen for guests as well as free wi-fi access, laundry facilities, and travel information. There's also a nice bonsai garden on the rooftop. The hostel's location is very convenient. It's right by the JR Station and is a short walk from JR Osaka loopline JR Momodani Station. Most places around town are accessible by a short subway ride. You can also walk to Korean Town in ten minutes. The hostel is near a popular shopping street that has a variety of restaurants that you can choose from. The area is relatively quiet and you're enjoy a good night's sleep. The staff are friendly and can help you with any questions you might have. If you're looking for an affordable hostel in a quiet neighborhood then this is a good option. Drumer's Dream Guesthouse is a great option for solo travelers. The owner is friendly and welcoming and the atmosphere is pleasant and relaxed. The staff really makes the experience, so make sure you spend some time chatting with them. There is definitely a traditional vibe to the place, and there is always music playing. The hostel is quite small and is located in a quiet neighborhood. If you're looking for an authentic experience that feels more like a local home than a hostel, then this is a great option. The hostel is not located in the city center, but it's a five minute walk from a subway station. If you're short on time and want to be near all the major attractions, then this might not be the best option for you. If you're arriving by plane, it's convenient to travel to and from the airport.